Plus Size Kitten: My Favorite Esprit Look Week 4 Winner! My Favorite Esprit Look Week 4 Winner! it's been a fun month but who's the final winner? I'm so sad that the My Favorite Esprit Look Contest is finally over. It's been a month of receiving photos from my readers showing me their mix and match styles and looks from the Esprit Autumn/Winter Collection 2012. 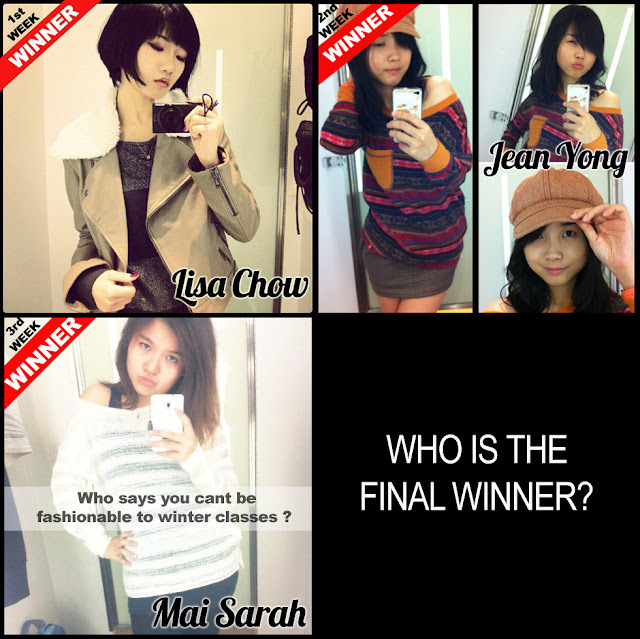 The judges has seen all the looks too and it was even harder trying to decide who will be the final week 4 winner. They were looking for a special photo that would make the final look and guess who won? 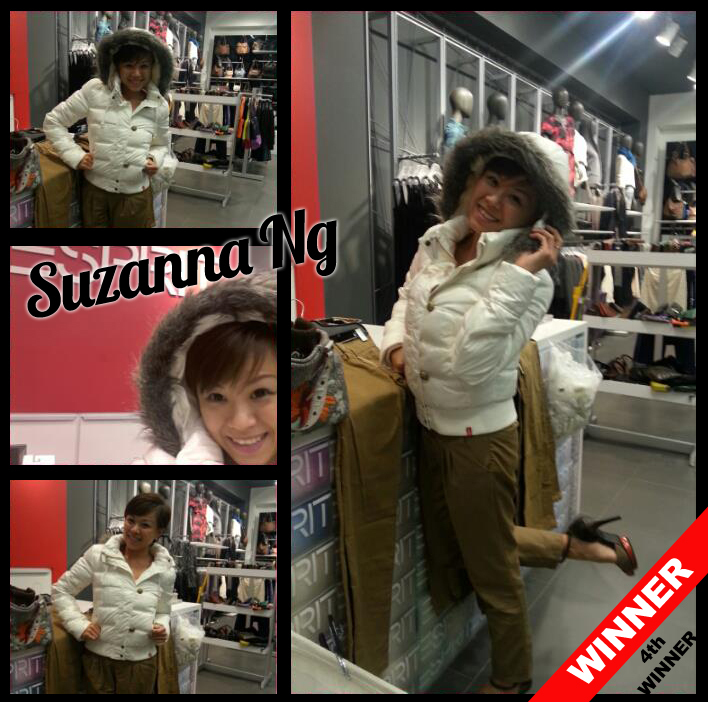 Congratulations Suzanna, your happy winter look has gotten the judges vote! Judges says you're smizing and showing a wee bit booty tooch. You must've gotten a few stares in Esprit store with this look? Pray tell who took your pictures for you? To all winners I'll be collecting the vouchers and then we will meet up to shop together how's that? before I go to Bangkok for holiday from 26th November- 1st December, 2012.
la la la la la la... sing a happy song! Congratz to all the winners! It was fun seeing what the winners came up with. Eyuzu Japanese Cuisine: Top Picks from the Chef! My Samsung Smart Camera is a Make Up Artist! Nandos Buy 2 Free 1 Promotion! Let it Rain! Thank you Autumn! Love them Jeans!